Photographed this evening in my Minnesota garden. 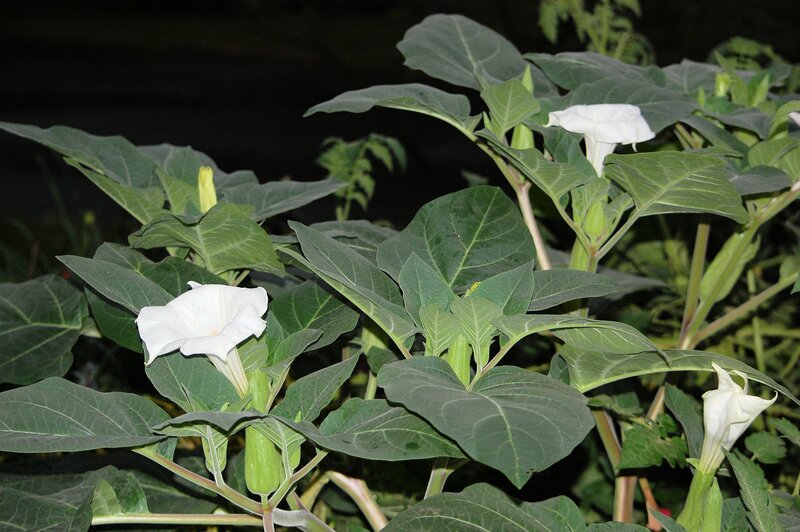 It is a volunteer plant (weed) in my garden and before anyone says anything, I know that Jimson Weed is poisonous. However, I am not planning to eat it and my cats don’t seem to be attracted to it. So, I have decided to just enjoy it for the nightly surprises it offers (the blooms roll-up in daylight).